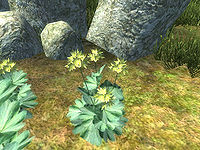 Lady's Mantle is a yellow-flowered plant with veined leaves found growing along the Gold Coast region of Cyrodiil. 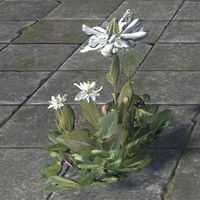 Lady's Smock is a white-flowered plant found all across Tamriel. It is especially proliferous throughout the West Weald of Cyrodiil. 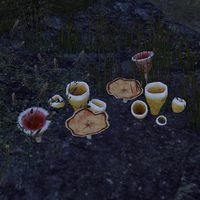 Lanceata pholiota is a mushroom grown within the region of Shadowfen in Black Marsh. It is cultivated in caves, where wamasu are a necessary but dangerous part of its cultivation. It can be used in Argonian rites to track spirits. Lantern Mantis are a species of carnivorous plant which that live in Murkmire. They attract prey with the bioluminescent bulb which dangles from the "mouth" of the plant. When the prey is distracted it will stab out with their claw-like growths which resemble the front legs of a mantis bug. Generally they feed on smaller animals but will lash out at anything that gets too close. 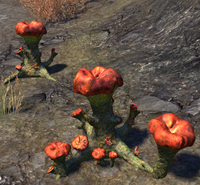 Lavaburst Mushrooms resemble a mushroom spewing out lava. They grow on Vvardenfell in the West Gash, Bitter Coast, Ascadian Isles, Azura's Coast and Grazelands regions. 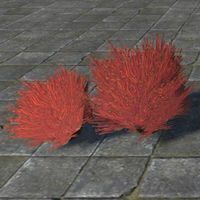 Lava Leaf is a red-leafed volcanic bush that grows on Vvardenfell. 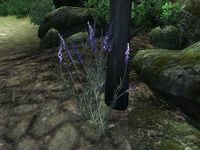 Lavender is an evergreen plant found abundantly in the Nibenay Basin in Cyrodiil. 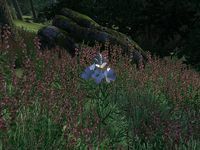 In Skyrim, lavender flourishes in tundra, particularly in Whiterun Hold. 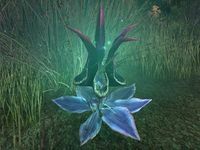 The Lavender Cap is a subterranean species of fungus that has been observed growing in Merion's Bliss. Its' name comes from the lavender-like scent the fungi produces. 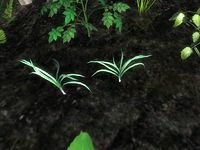 Leek plants are grown commonly on farms across Cyrodiil and Skyrim for food. They have hollow leaves that grow from the ground, protecting the edible bulb. 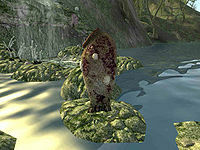 Letifer Orca is tall brown carnivorous plant found in the Dementia region of the Shivering Isles. 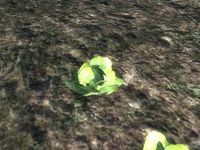 Lettuce is a commonly grown crop across Cyrodiil, being one of the main foodstuffs. The leaves protect the edible head of the plant. 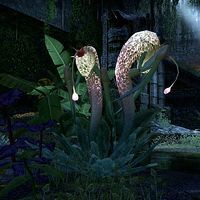 This fungi grows Murkmire and is known to the Black-Tongues as one of the fourteen xal-fek or "sacred plants". It is described as having a spotted cap, phosphorescent glow and hanging fringes, however it easy to get this species mixed up with many other toxic varieties of mud-blossom. 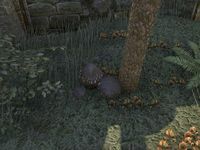 It is known to have invigorating effects and is one of the ingredients in the unique "Dread Fathering Elixir" used by the Black-Tongues during Bonding Rituals as to maximize the number of hatchlings born under the sign of the Shadow. Lizard Tail is a white-flowered plant. 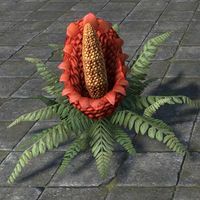 This red flower can be found in densely wooded and tropical regions of Tamriel. It is also a common sight in gardens devoted to the goddess Dibella. Luminous russula is a squat, mottled-brown-and-green toadstool mushroom of the Bitter Coast region. It also grows across Tamriel. ^ Lavendercap Mushrooms item description. This page was last modified on 18 April 2019, at 16:03.